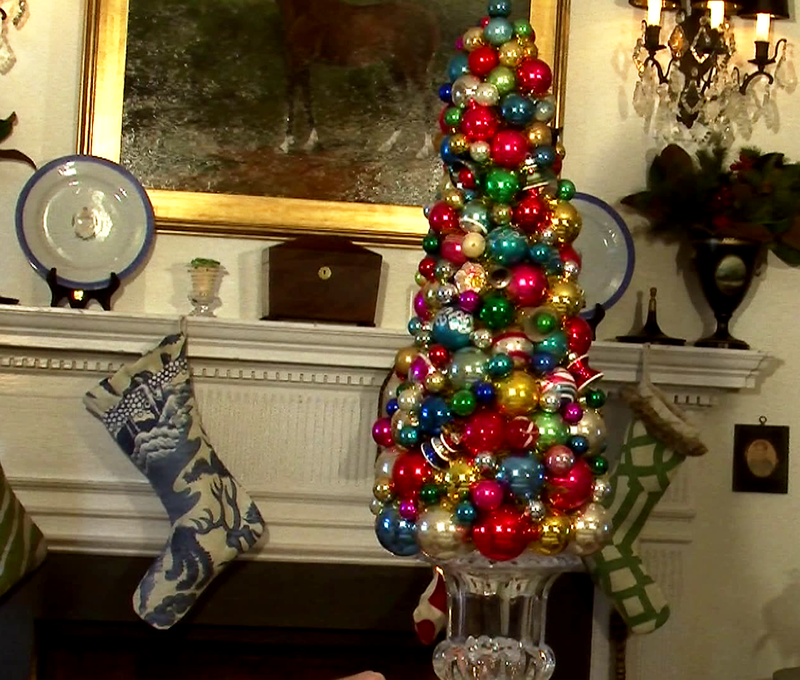 This second annual Christmas video will inspire holiday entertaining with unique decorations for the home. It’s Christmas time again! I think this time of year reaches into our hearts and pulls us forth like no other season can. It’s a time when every decorative gesture and flourish makes a statement about how we feel and what we cherish about the season. These videos are my way of sharing ideas and inspiration with all my friends and followers. I truly hope this video inspires Holiday Cheer! 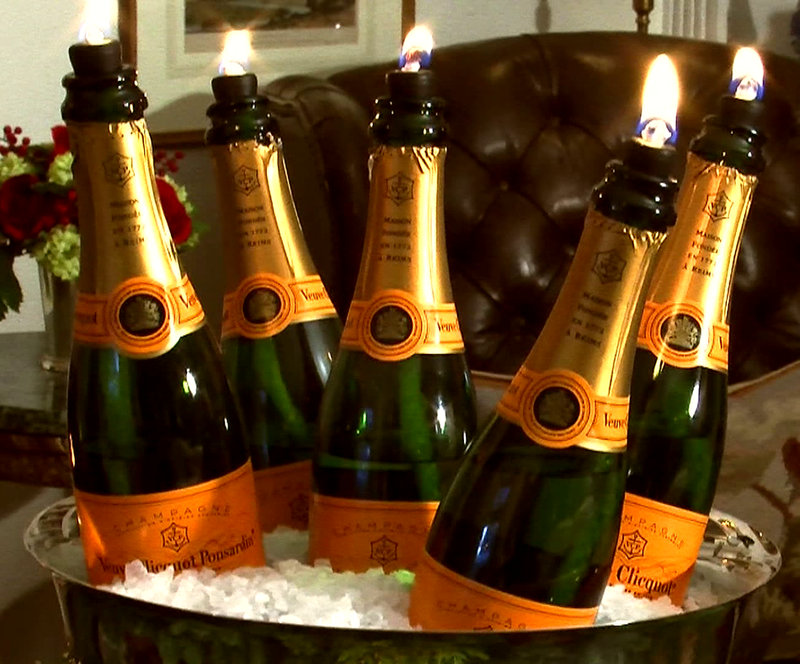 The champagne bottle centerpiece came to me a few years ago when I was wondering why I saved all the these old bottles?! I knew I had to put them to some use, and upon seeing a beautiful arrangement of iced champagne at a wedding, the bells went off and “Making Spirits Bright” was born. This is a great New Year’s Eve centerpiece too! I hope you enjoy creating your own version as well. Yes, you can use beer bottles if you must! The ornament tree idea is certainly not a new one. But I am always amazed at the smiles it brings. The ornaments of the past seem to spark a flood of sentiment for so many. What better way to remember all that was good than to create this wonderful tree that evokes the best of Christmas past. We’re just getting started here at the J List, and look forward to an amazing new year! I want to thank Michael Sprouse and Nick Gruber for their amazing contribution to the production of this video. Their direction and editing is truly a wonder for me! And Ian Miller of Tower Agency who keeps me on track with all things “J List” and always cheers me on via Skype. To all my J-Listers, a heartfelt thanks for your kind emails and support throughout the year. To all of you love, peace and joy! Loving the Christmas spirit? View last year’s holiday video! Please leave a comment below or on The J List Facebook page. Be sure to explore the Holiday A List for a beautiful selection of seasonal products. Thanks for watching!